Welcome to the UK Wolf Conservation Trust! Since 1995, with your support, we've worked to keep wolves in the wild. Thank you for helping us to donate over £365,000 in recent years. We regret to announce that the Trust is now closed to the public. For more information, click here. We support numerous projects around the world aimed at keeping wolves in the wild. We have ten wolves at the Trust. Find out more about them here! 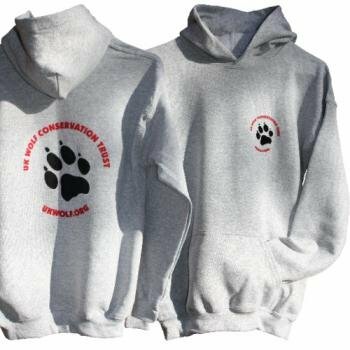 UKWCT hoodies are now available from our former supplier. Read through our extensive archive, covering all the wolves of the world.